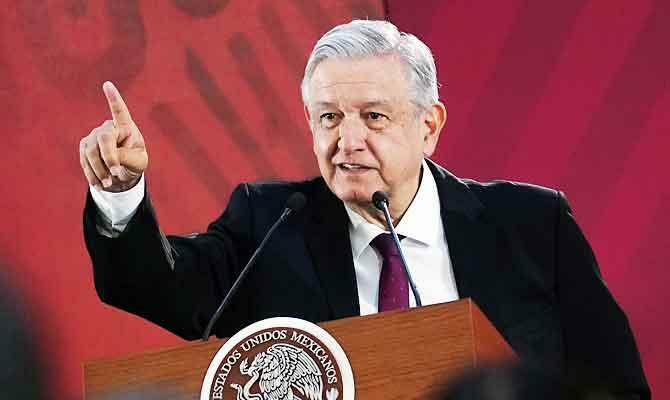 President Andres Manuel Lopez Obrador, an anti-establishment leftist, reopened the debate over Spain’s centuries of dominance in the New World with a video posted to social media, urging Spanish King Felipe VI and Pope Francis to apologize for the conquest and the rights violations committed in its aftermath. “I have sent a letter to the king of Spain and another to the pope calling for a full account of the abuses and urging them to apologize to the indigenous peoples (of Mexico) for the violations of what we now call their human rights,” Lopez Obrador, 65, said in the video, filmed at the ruins of the indigenous city of Comalcalco. “There were massacres and oppression. The so-called conquest was waged with the sword and the cross. They built their churches on top of the (indigenous) temples,” he said. Spain’s reaction was swift and unequivocal. “The government of Spain deeply regrets that the letter the Mexican president sent to his majesty the king, whose contents we firmly reject, has been made public,” it said in a statement. Lopez Obrador took office in December after a landslide election win that represented a firm break with Mexico’s traditional political parties. A folksy populist, he pulls no punches in going after traditional elites — but had so far cultivated cordial relations with Spain, including during a visit to Mexico City by Spanish Prime Minister Pedro Sanchez earlier this year. Lopez Obrador made the remarks during a visit to his native Tabasco state, in southern Mexico. He was later due to visit the nearby city of Centla. On March 14, 1519, the site was the scene of one of the first battles between Spanish conquistador Hernan Cortes and the indigenous peoples of the land now known as Mexico. With the help of horses, swords, guns and smallpox — all unknown in the New World at the time — Cortes led an army of less than 1,000 men to defeat the Aztec empire, the start of 300 years of Spanish rule over Mexico.